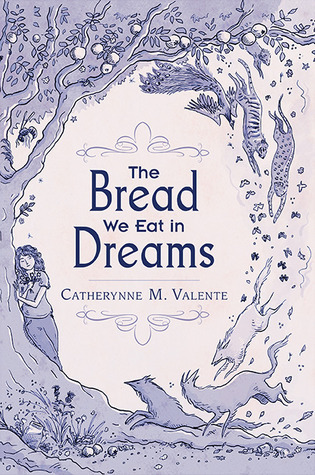 This is a wonderful anthology, and a perfect starting place for those who want to delve into the writings of Catherynne Valente without committing to a full novel. I have read most of the stories in this anthology before and, on a second read, they don't come as strong or shocking, but more like long-time friends or forgotten lovers with which to share a drink and a memory or two. White lines on a green field is among my favourites. Even though in my country we do not share the American collective frenzy when it comes to varsity and football and school pride, we still do know of it from film and TV, and it conjures the image of a golden America from a past that never was. The bread we eat in dreams, Fade to white, The wolves of Brooklyn are other strong ones who get better on a re-read. Of the new (for me) pieces, I particularly loved Aeromaus, The Room, The Blueberry Queen of Wiscasset. I won't talk of the poetry, as I don't have the instruments (or the interest) for it, but I thought What the Dragon said to be the best of the bunch. Sign into Goodreads to see if any of your friends have read The Bread We Eat in Dreams.